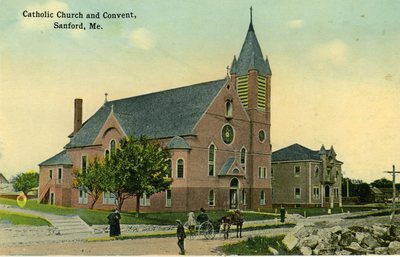 "Sanford, Maine, Catholic Church and Convent "
A beautiful postcard picture of the Catholic Church and Convent, Sanford, Me. The convent is the building on the right. People are just enjoying the day talking and walking around the street. A lady is driving her horse and buggy down the street.